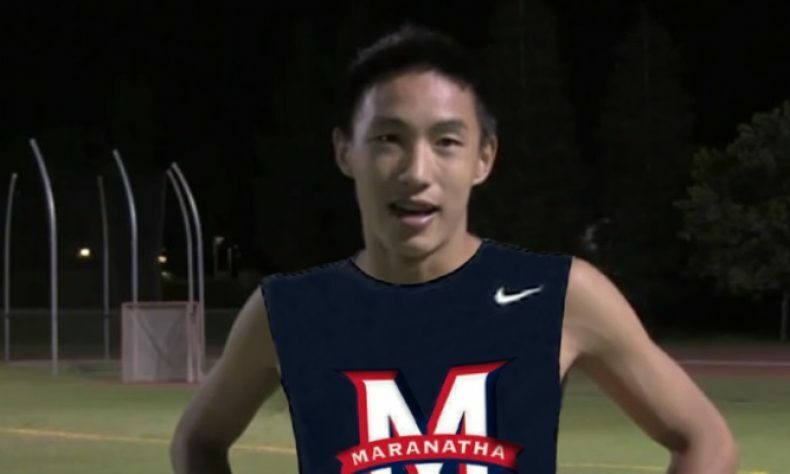 Maranatha High School congratulates senior Brendan Fong for breaking the record in the 400-meter track race! On Saturday, March 16, the Maranatha Track and Field team competed in the Maurice Greene Invitational against 56 other high schools at Oaks Christian High School in Westlake Village. Maranatha senior Brendan Fong set a new 400-meter record in the Maurice Greene Invitational with a time of 48.80, winning the race by 10 meters, and also broke the meet record in the 200-meter with a time of 21.88 seconds. Maranatha High School, 169 S. St. John Avenue, Pasadena, (626) 817-4000 or visit www.maranatha-hs.org.